I know this is rather simple, but it is good to remind our fellow beginers to not take everything for truth. Yeah, it’s a wild world with open source free stuff. Like any free EDA without strict part submission checking shouldn’t be trusted either - that includes FZ -, so any PCB made with them should be thoroughly checked, ie print out the PCB and test if parts fit on top of their pictures, and gerber checking, before getting them made. By the way your resistors aren’t connected to the LEDs in SCH because there is red connectors, this may make an incorrect PCB. Also some junctions aren’t made properly. 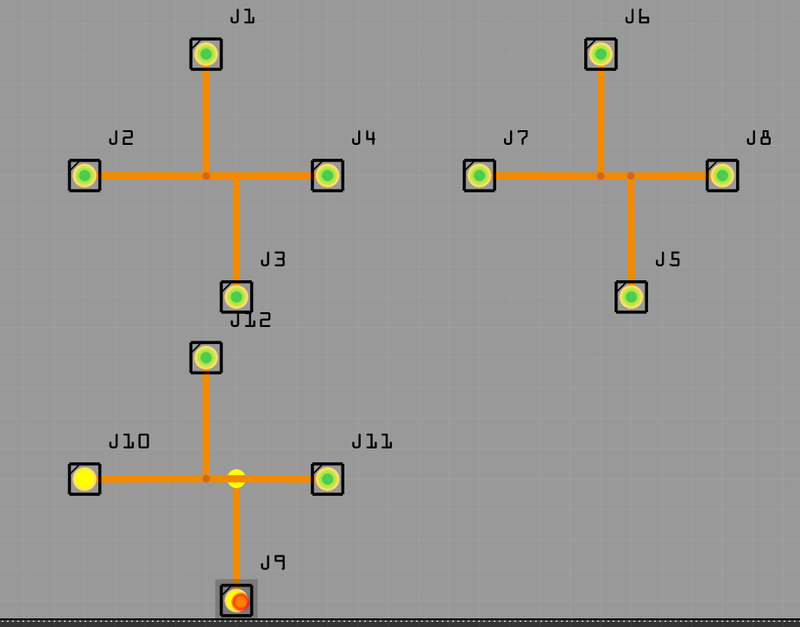 The small junction dots probably mean there is traces on traces. Thank you for the heads up! 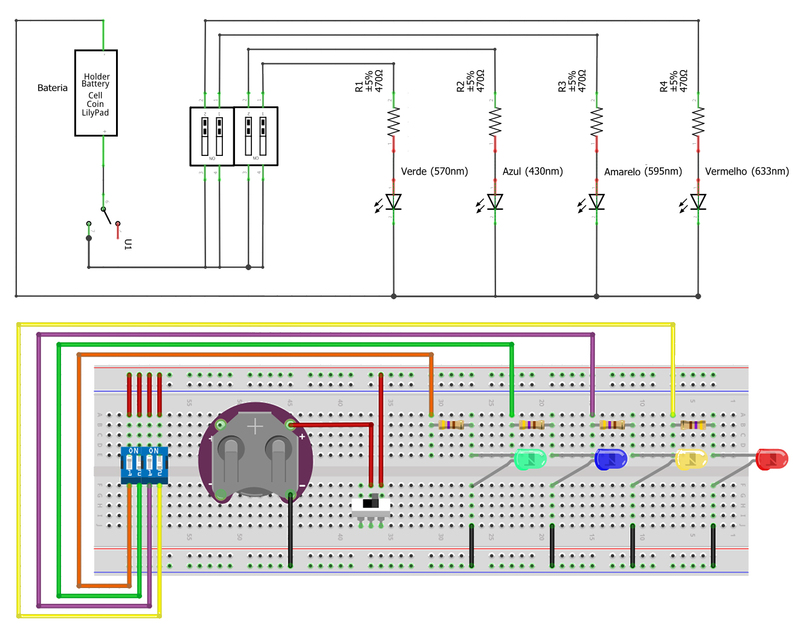 I started using Fritzing not too long ago and am still learning how to use it correctly. Don’t sweat it, because everyone does that when they start. There are so many tips and tricks that I was thinking about making a tutorial vid about it. Like did you know clicking on a part pin will make things anything connected to it turn yellow. Be careful with diodes in FZ because the SCH symbol has a line through the centre that can hide ratsnest lines and traces under it. You shouldn’t overlap wires in SCH or PCB or you can get fooled by connections. Either grab a wire in the middle and move it and move it back and it will create a bendpoint, or right-click on the wire and make a bendpoint. 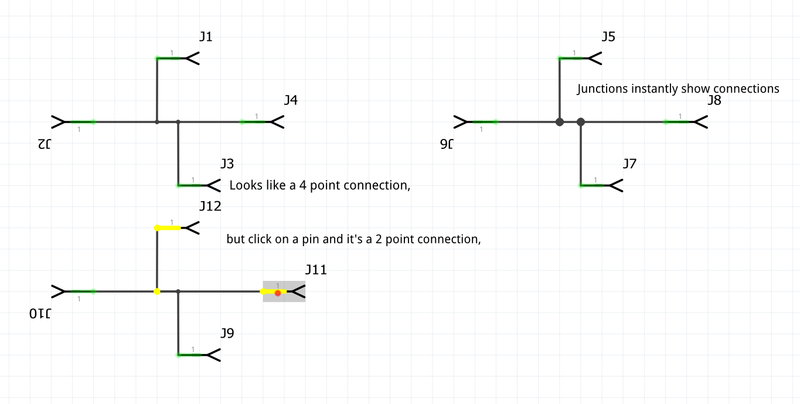 Then hold ALT and click on the bendpoint and make a trace from it to the pin. Otherwise you will always be wasting time clicking on pins to see what is connected. Thanks for the tips! Make sure to post here a link to your video if you end up making it!